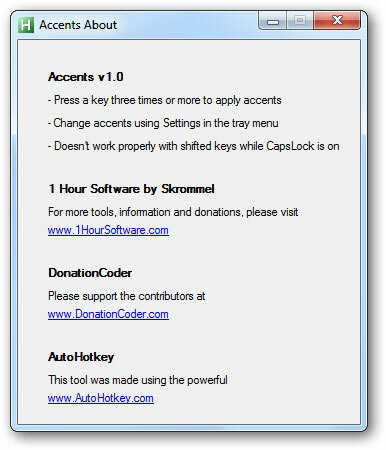 Accents is a free portable tool that allows you to apply accents to letters when you type. Just run the tool and press a key three times or more to apply accents. Note that it doesn't work properly with shifted keys while Caps Lock is on.